Anyway. The first recipe is from a lovely book by Lucie Cash called Fairytale Food. Full of quirky little instructions - "Ensure your cauldron is sparkling clean", "Check your kitchen thoroughly for signs of goblins (little footprints, sticky fingermarks)" - it is a charming, funny recipe book. It also has beautiful illustrations and is almost certainly the prettiest recipe book in my kitchen. 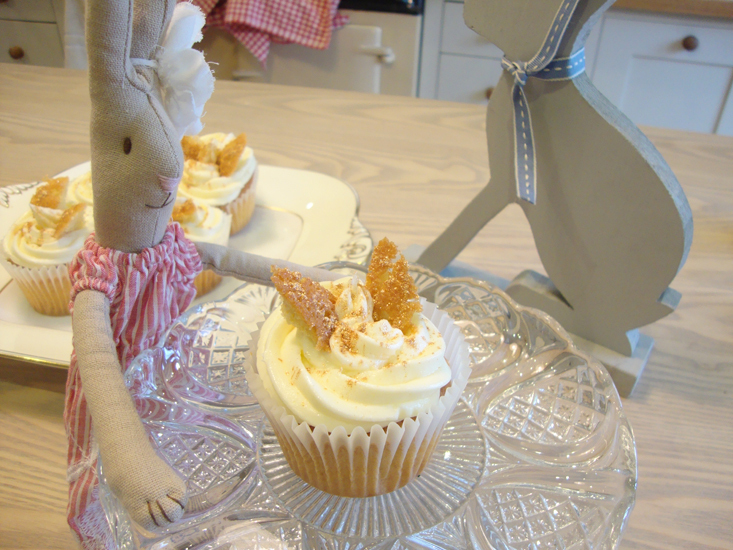 But these are not just any fairy cakes - oh no, these are Good Fairy Cakes. They have a spoon of lemon curd in the middle, a hint of almond in the cake and the icing, and some edible glitter sprinkled on the tops. Yum. 4. 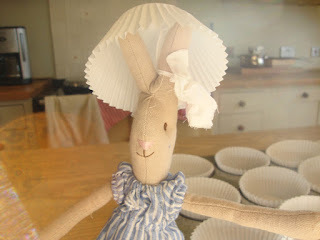 Fill paper cases about two thirds full and bake for about 20 minutes, until cakes are pale golden and springy to touch. Leave to cool on wire rack. 5. While cakes are cooling, you can make the icing. 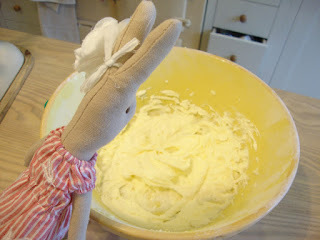 Place butte in a large bowl and whip it up using an electric hand mixer. Add icing sugar a bit at a time and cream with the butter. (At this point mine seemed to go a bit wrong and wouldn't cream properly, but I added some more butter and all was well). 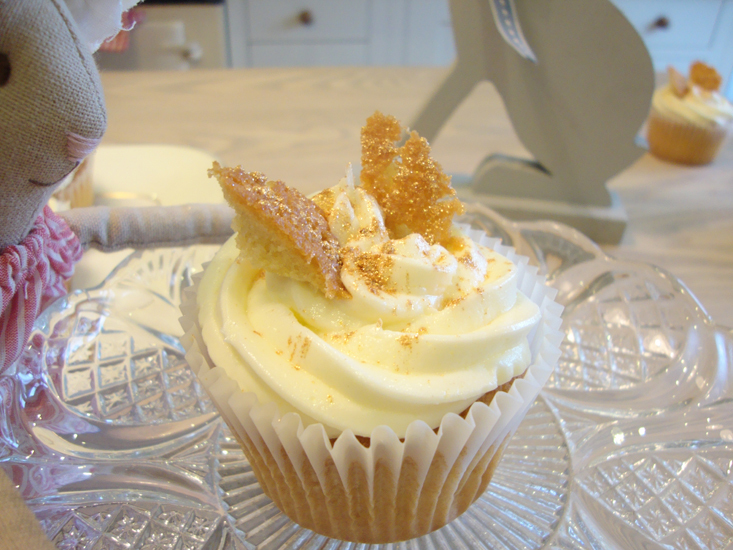 Add the milk and the almond essence and mix well until you are left with a smooth creamy icing. 6. Once cakes are cooled, angle a small sharp knife and cut a round out of the middle of each cake, leaving a small hole in the center. Cut the rounds in half (to make fairy wings) and set aside. 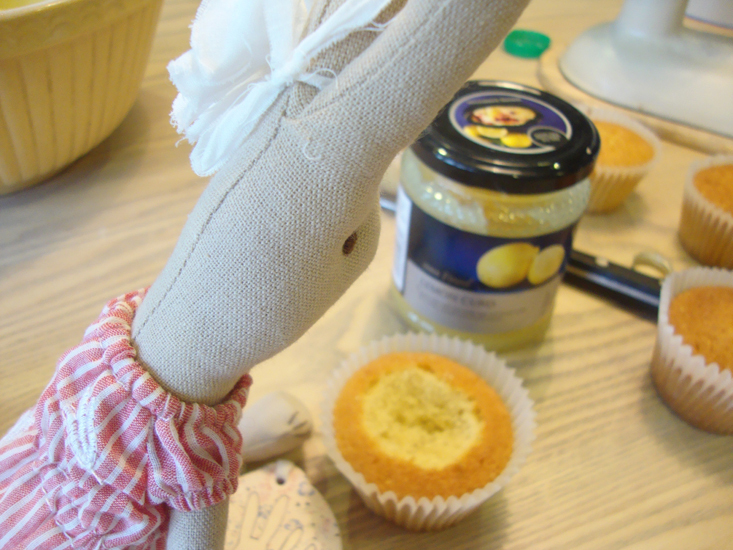 Fill center of each cake with a teaspoon of lemon curd, then spread or pipe the icing over the top. 7. Add fairy wings and a dusting of edible glitter to complete. Ta-da! 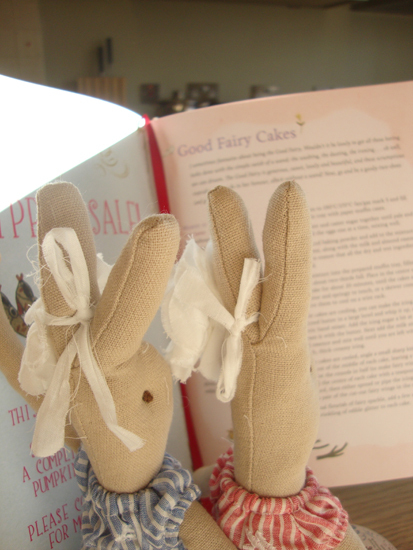 Here is the lovely recipe book (see, I told you it was pretty!) 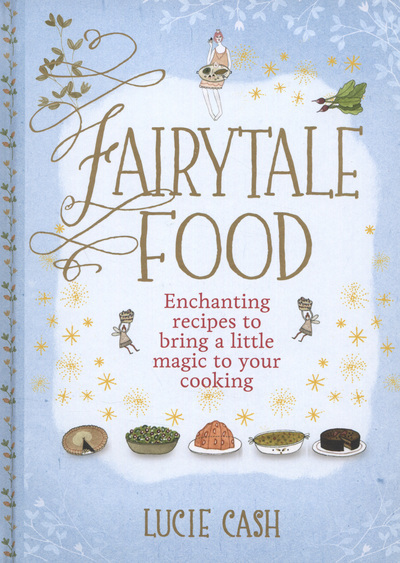 and you can follow Lucie on Twitter too @FairytaleFood. 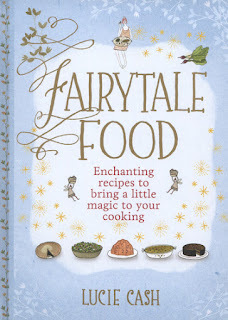 Finally I should probably point out that this is not a cookery book aimed at children - for example there are quite a lot of boozy recipes - but I am sure it would be a lovely book to flick through and share with a child. Or if not, just grab yourself a fabric bunny. They love it. 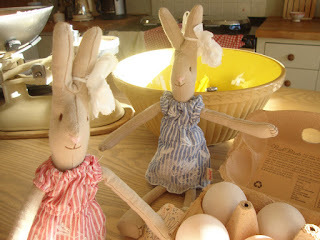 oh this is lovely, but how do the bunnies manage to avoid getting messy while they're baking?